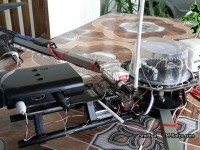 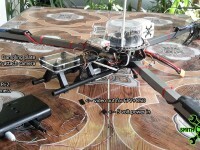 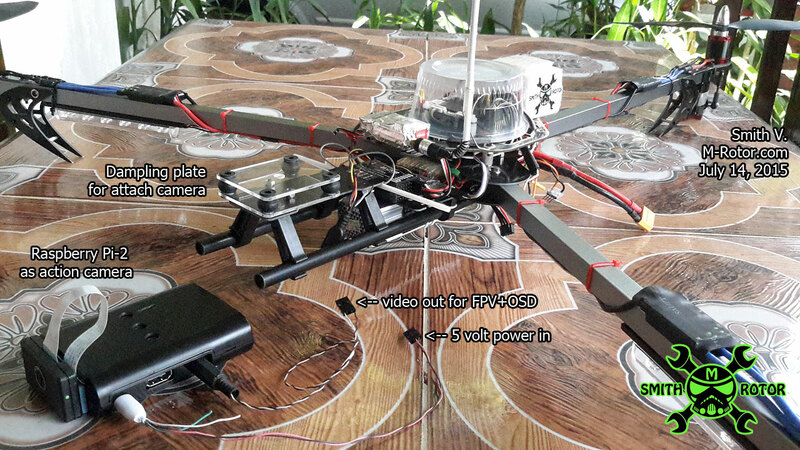 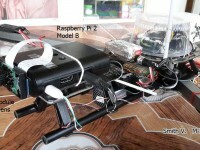 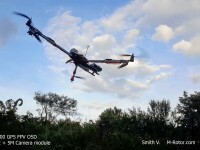 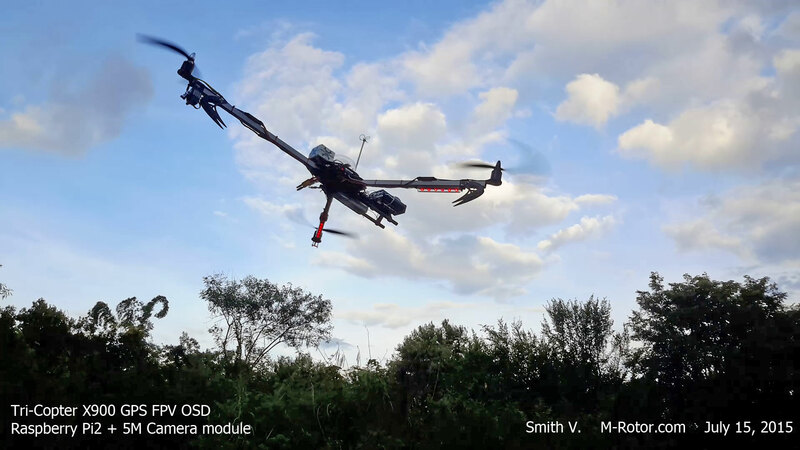 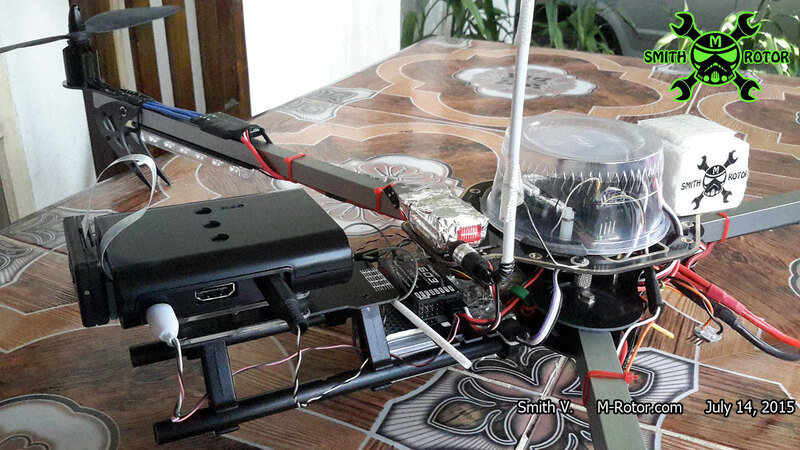 I want to build my camera for my used of inflight video record and FPV+OSD. 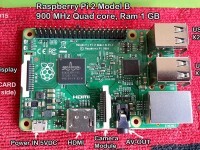 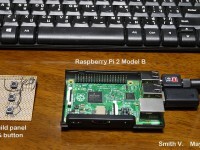 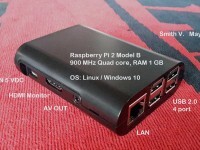 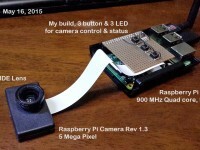 I think that “Raspberry Pi2 mini computer” and it camera module can used for my need. 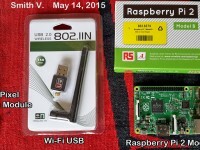 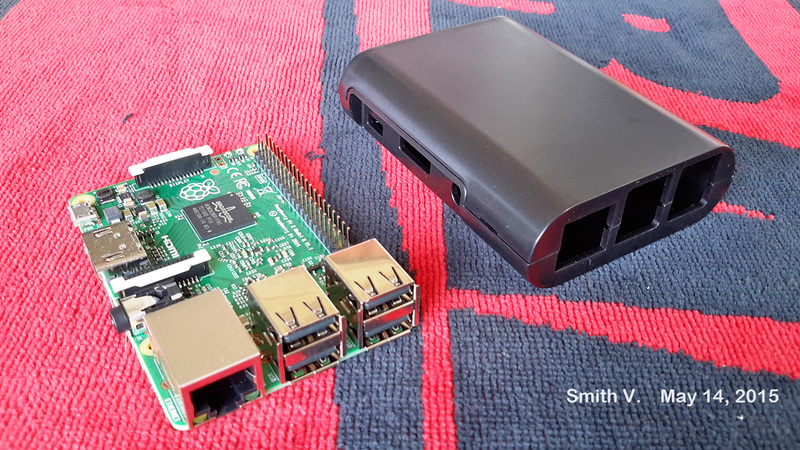 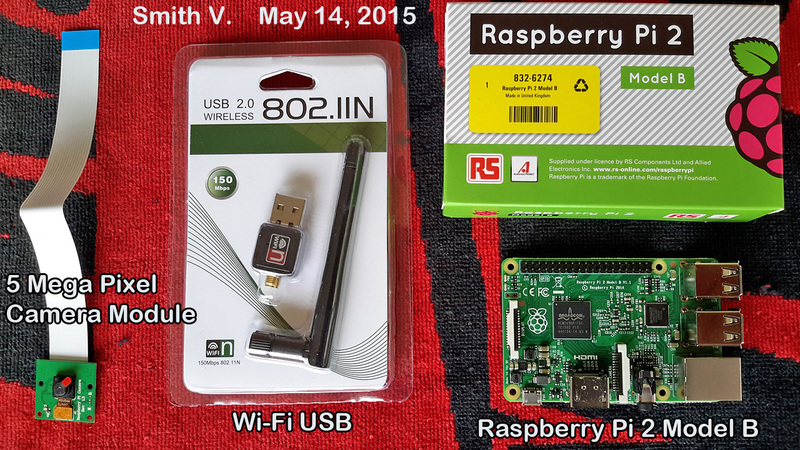 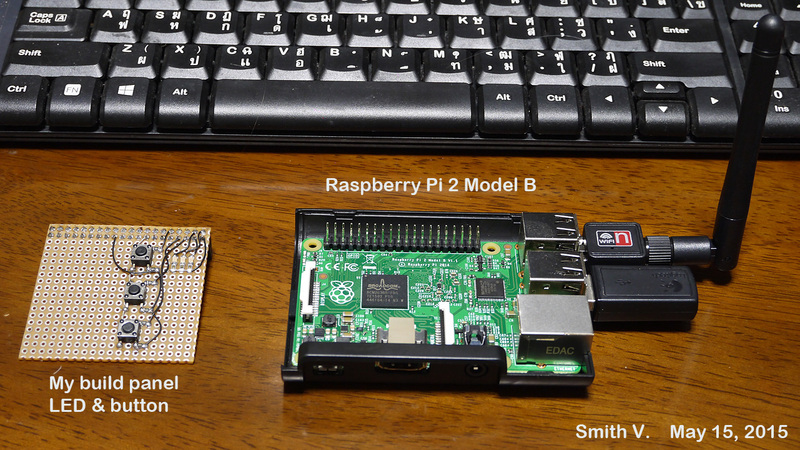 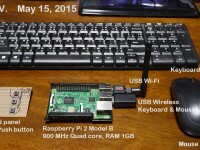 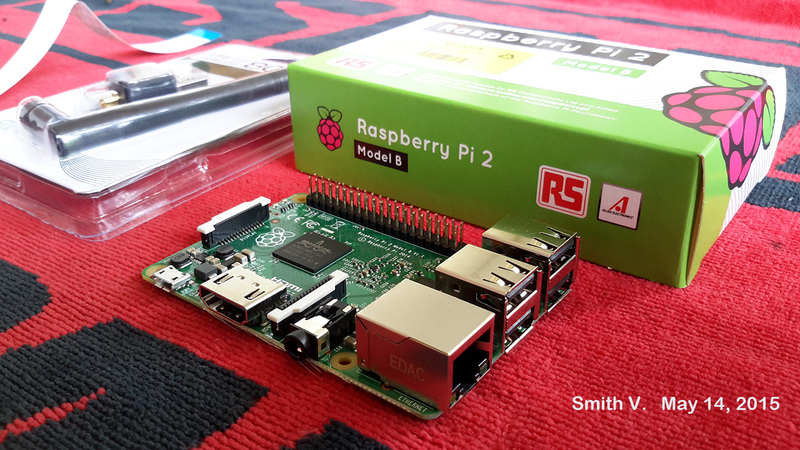 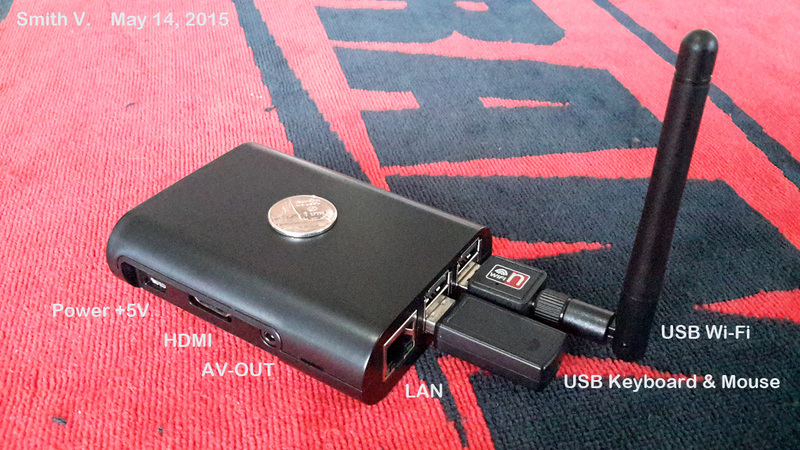 May 14, 2015 I’m start to setup Micro computer “Raspberry Pi 2” for work with my new project smile emoticon this computer is very small size, but full of process power smile emoticon 900Mhz Quad core, RAM 1GB, SD card storage, 4 USB port, LAN, HDMI, AV-OUT, Socket for camera module and LCD display smile emoticon This micro computer can run with OS Linux or Windows10. 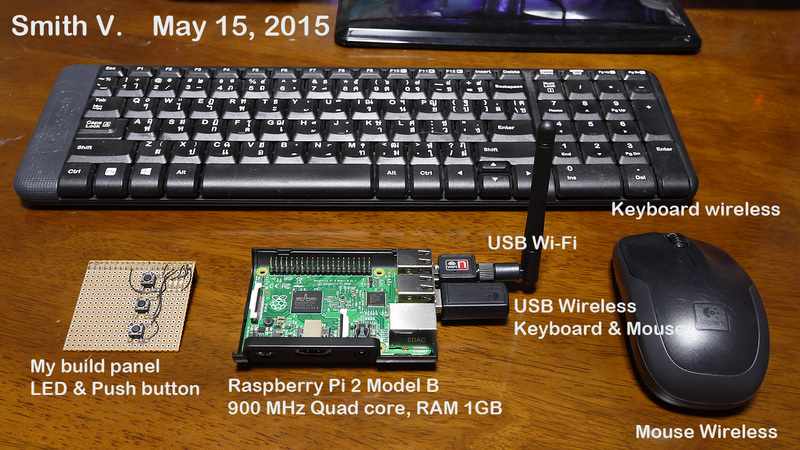 and I buy it options such as it box, WiFi USB, bluetooth Keyboard & Mouse for easy to my develop. 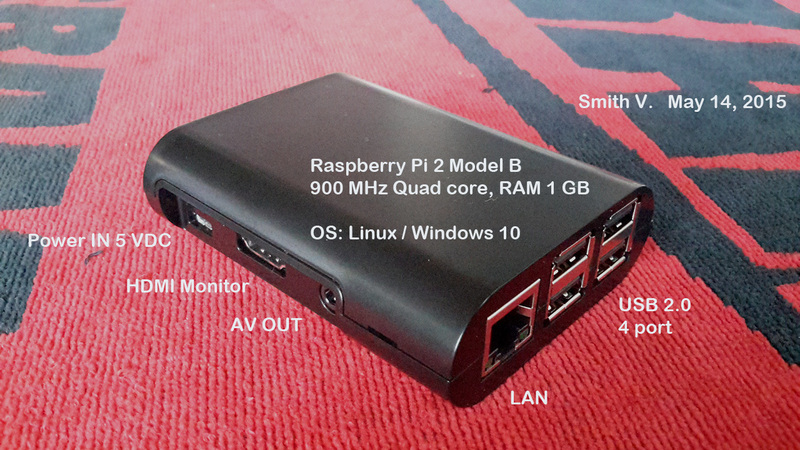 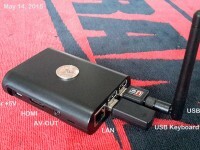 Test my mini computer linux system by use it to browse and play YouTube video. 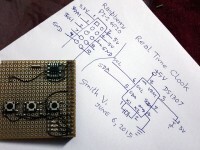 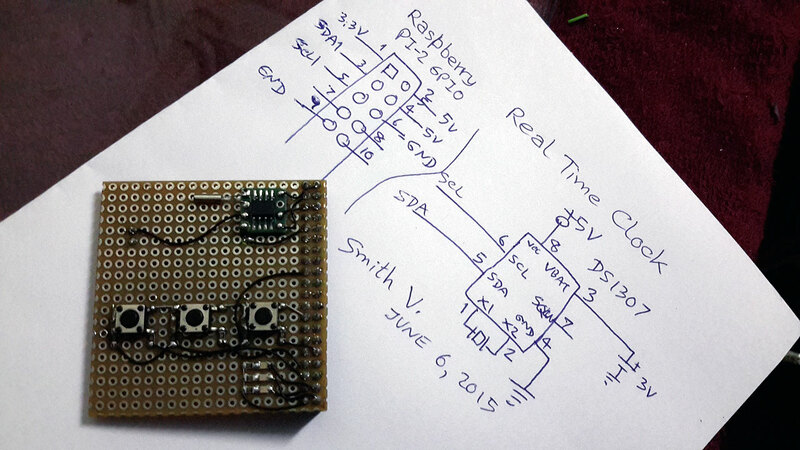 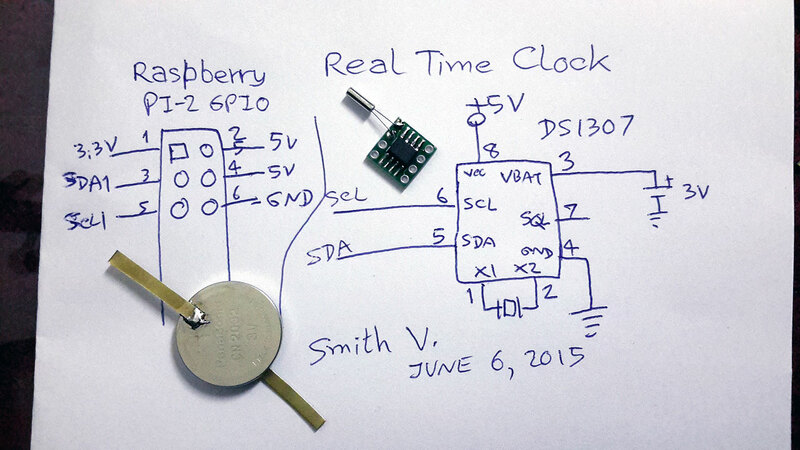 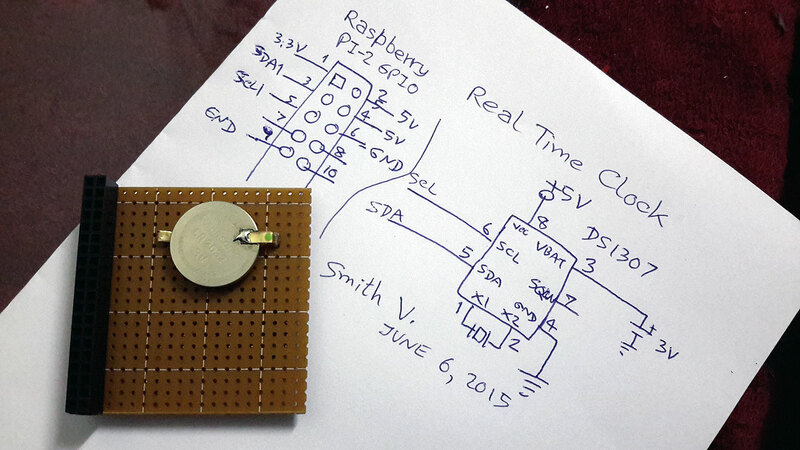 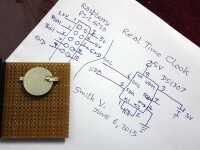 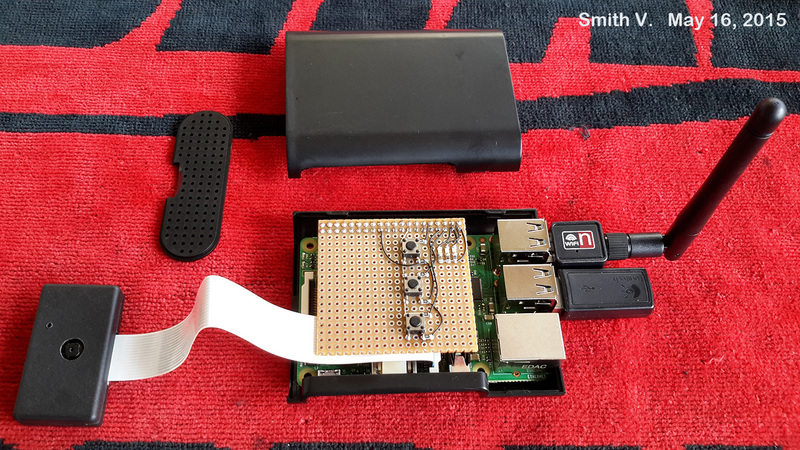 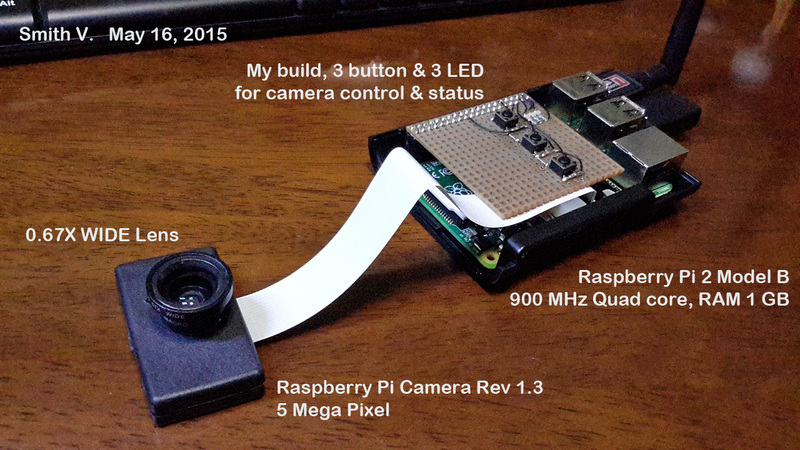 i build LED & button board for use with Raspberry Pi 2 for easy to use it as DVR camera. 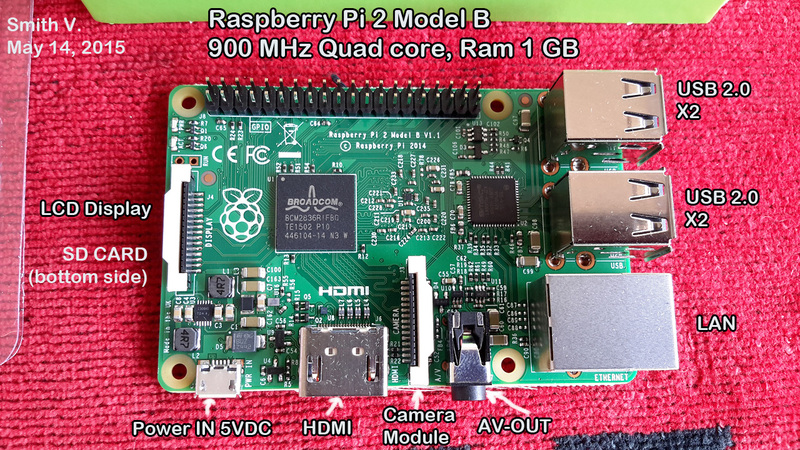 Test Raspberry Pi 2 with Python script. 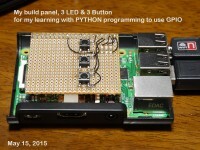 after system boot, then auto-login then auto-run my Python script. 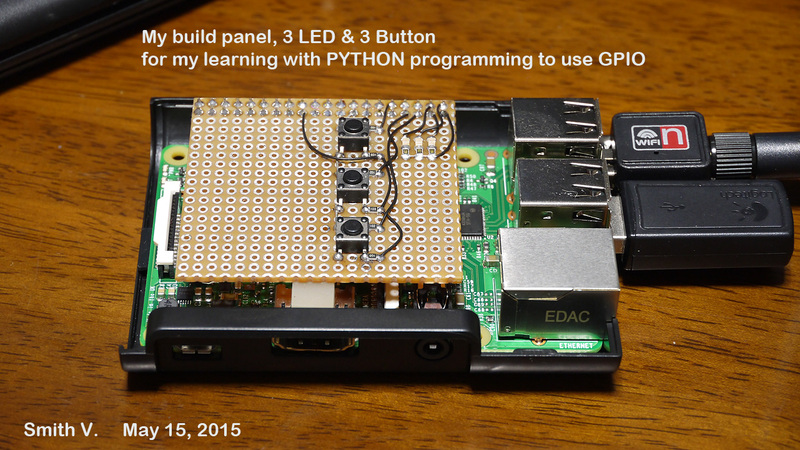 test with my build panel, 3 LED & 3 button 🙂 this’s my first time with Python programming. 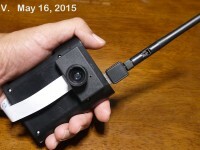 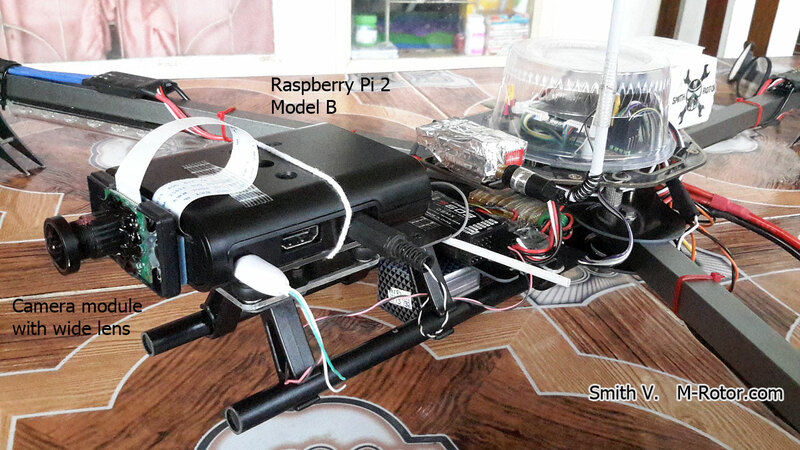 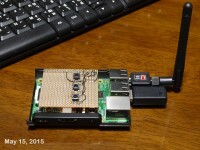 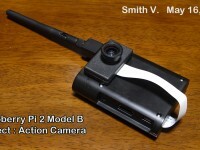 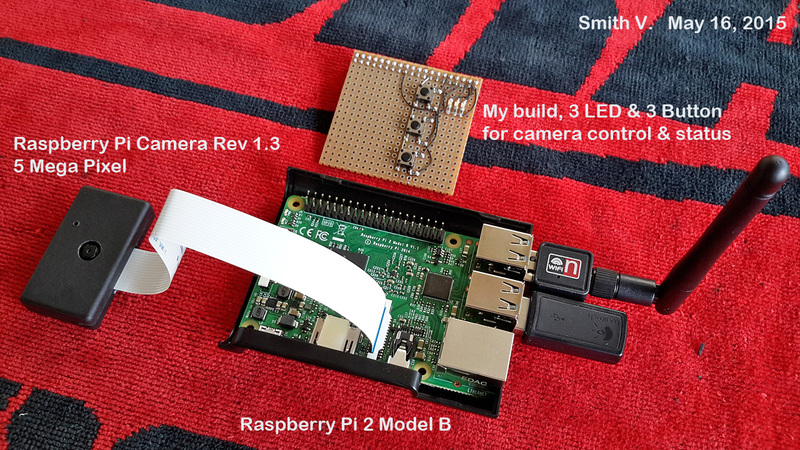 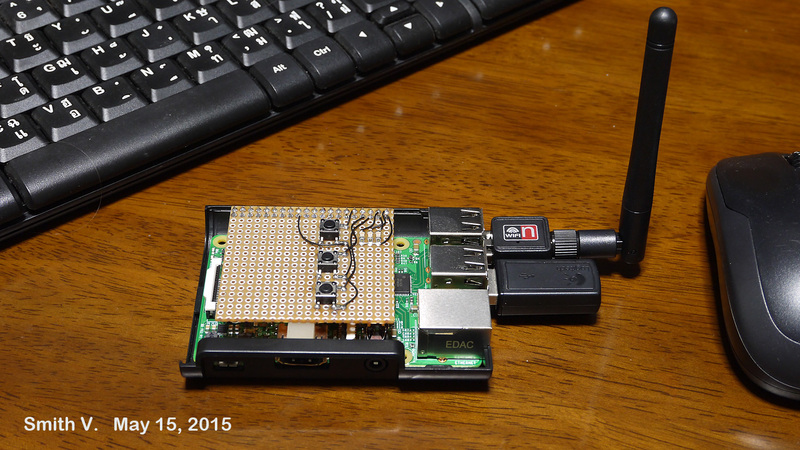 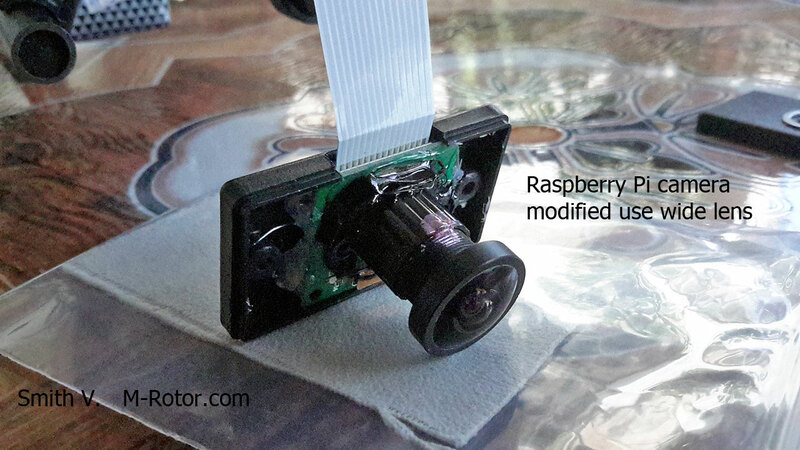 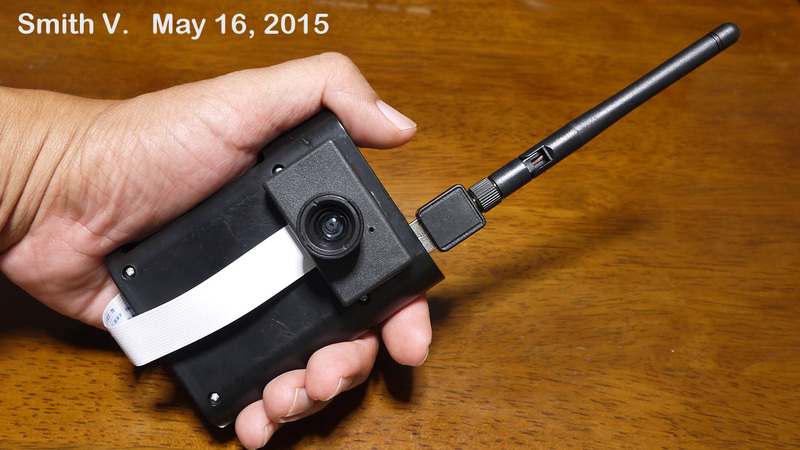 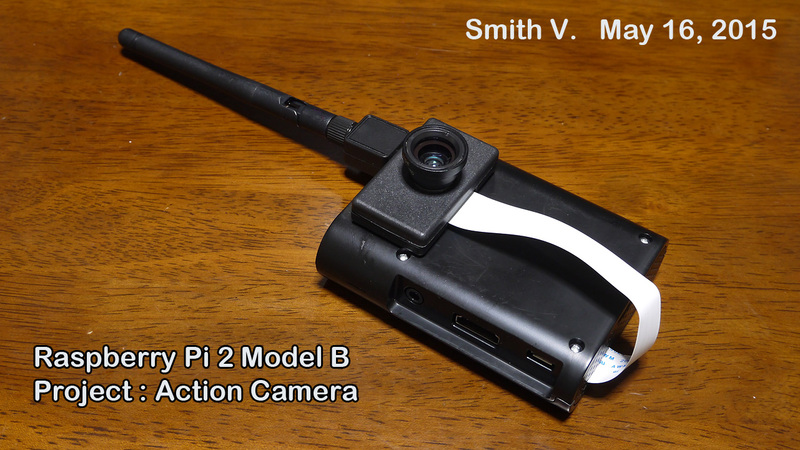 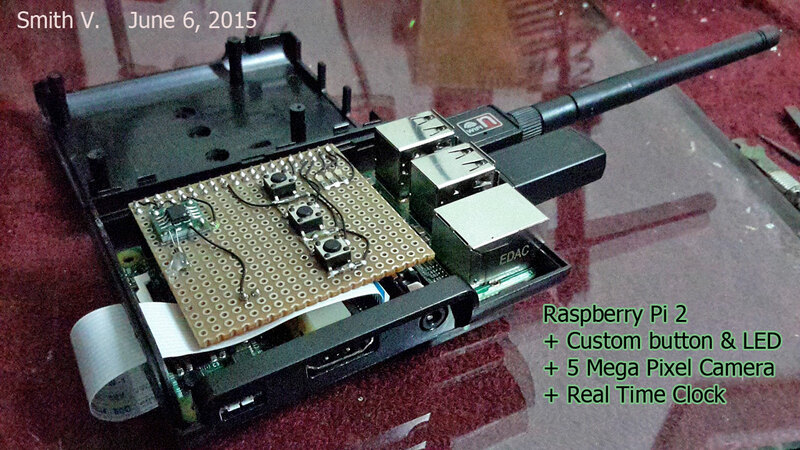 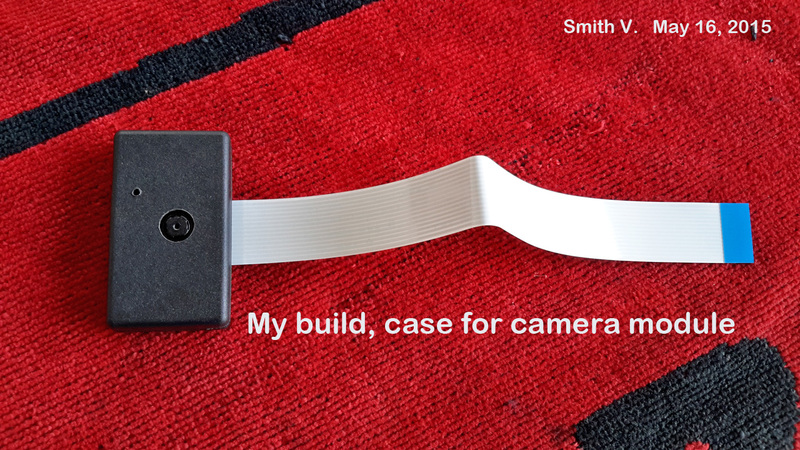 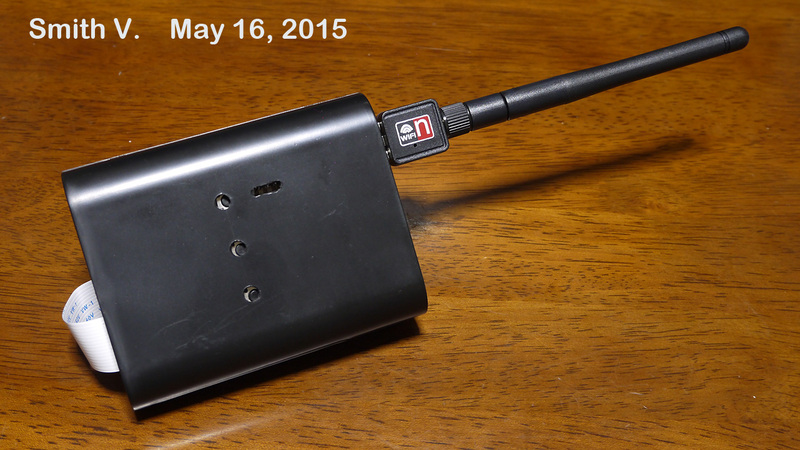 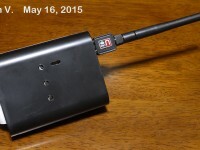 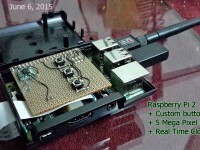 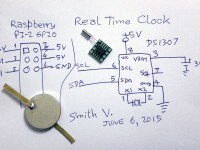 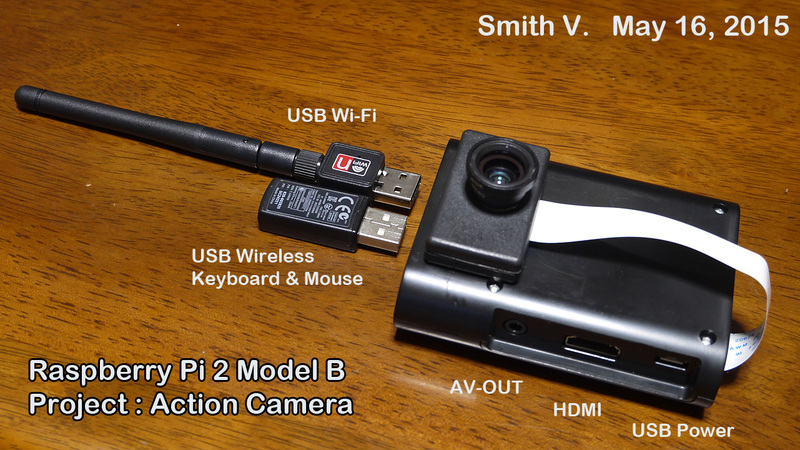 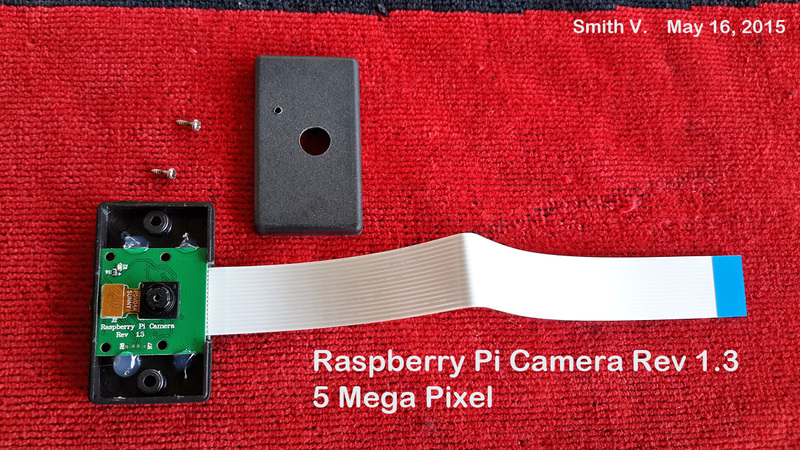 assembly Raspberry Pi camera module with Raspberry Pi 2. 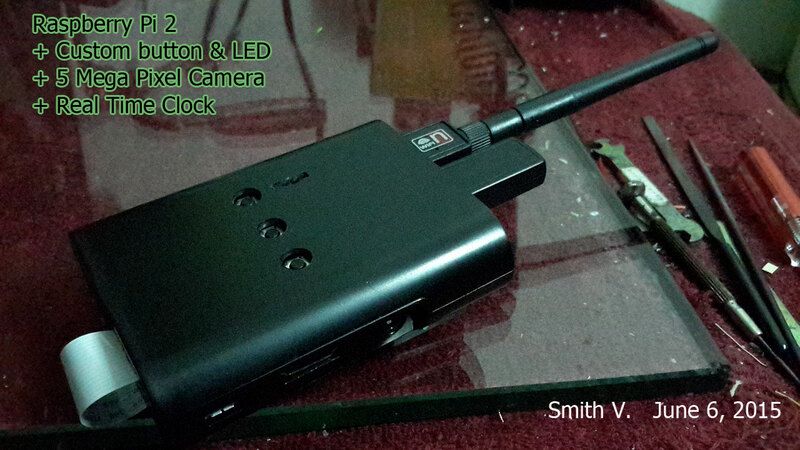 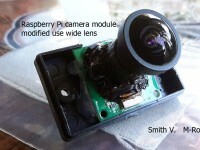 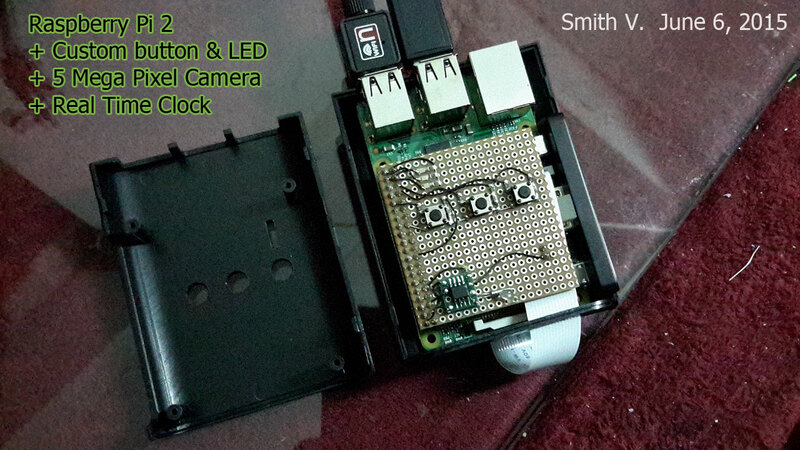 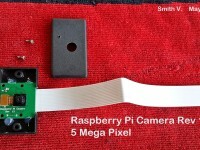 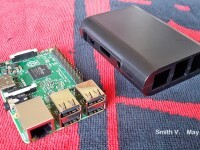 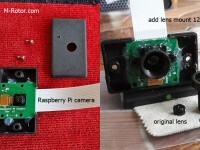 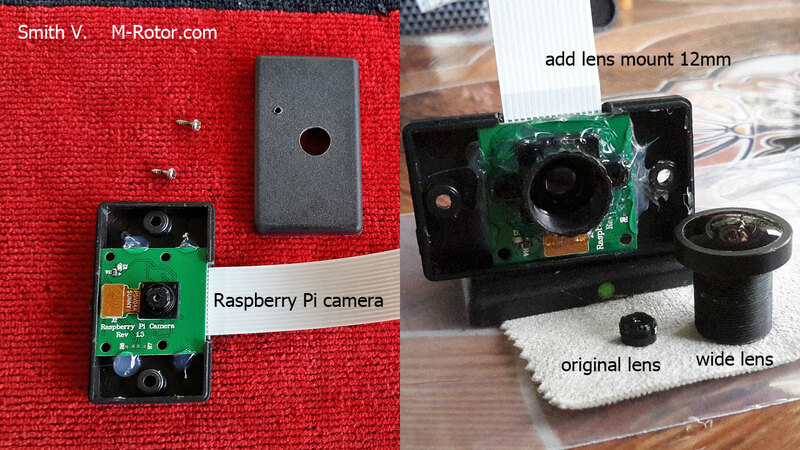 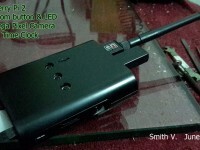 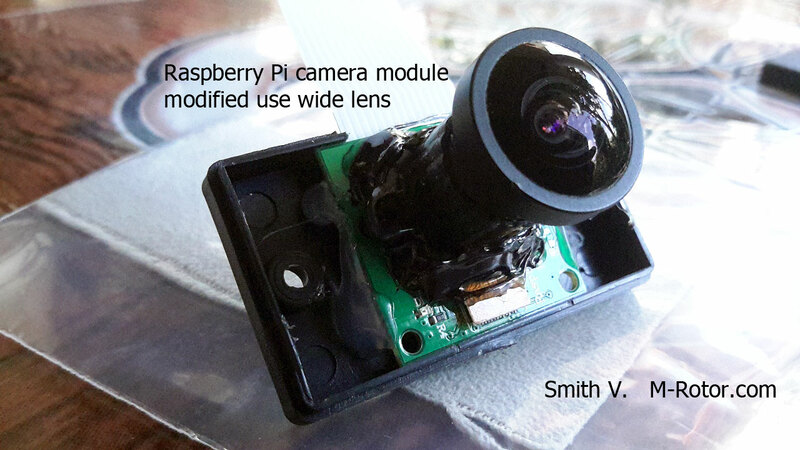 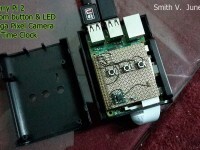 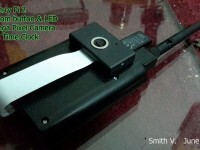 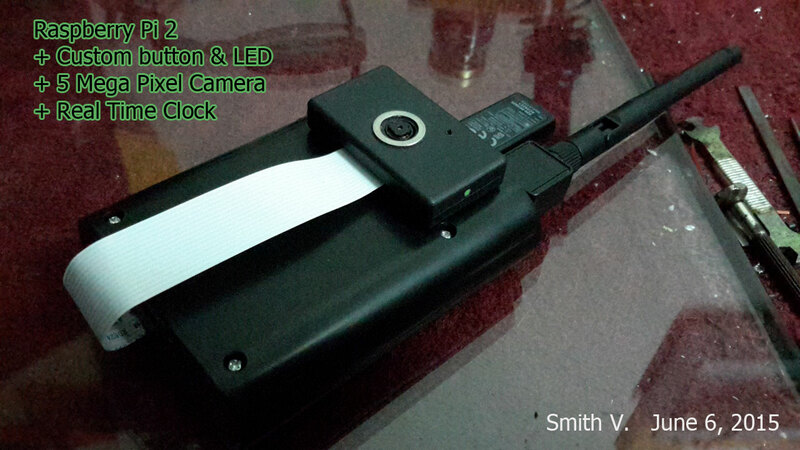 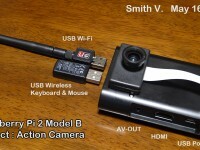 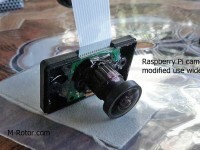 Raspberry Pi camera module have 5 MegaPixel sensor that good for my used. 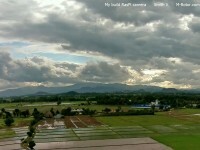 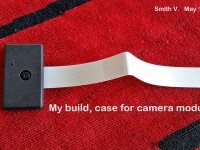 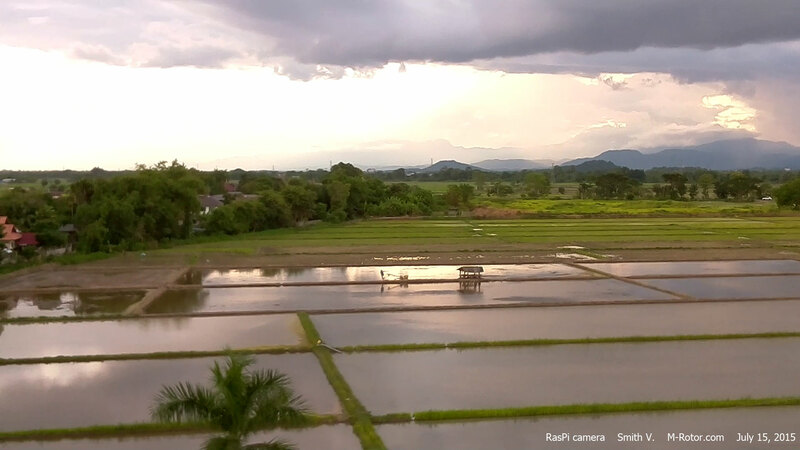 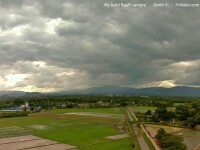 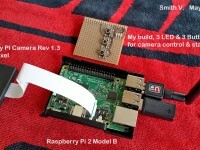 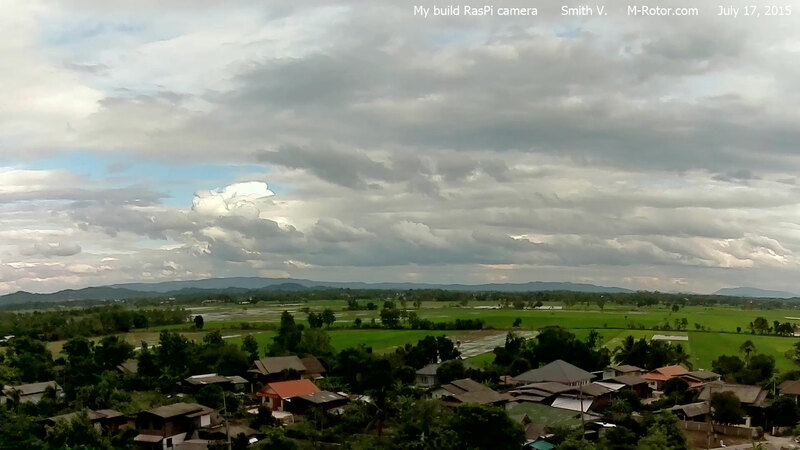 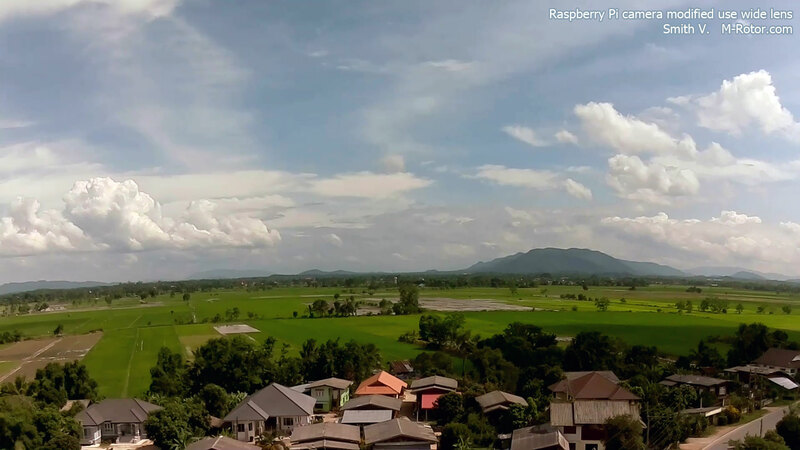 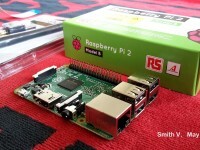 Test my build RasPi camera do Time-Lapse video. 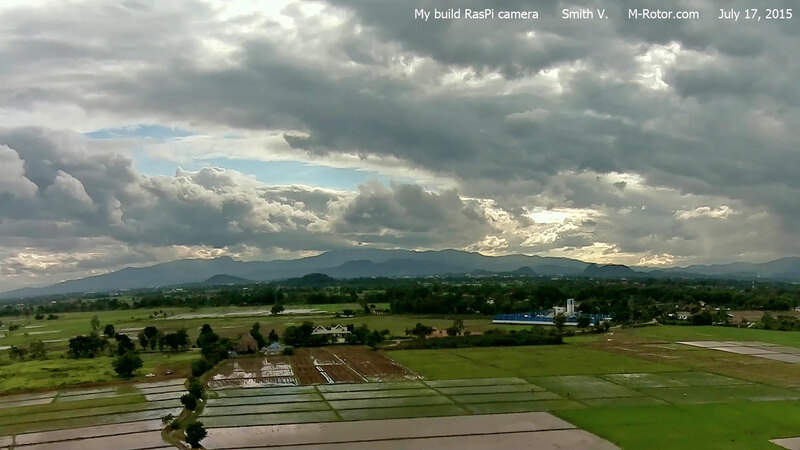 This flight for test inflight and FPV+OSD videos of my build camera that use wide lens. 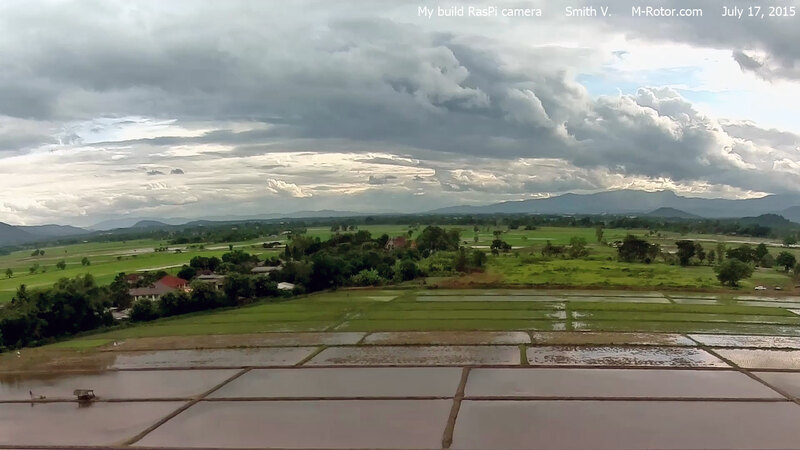 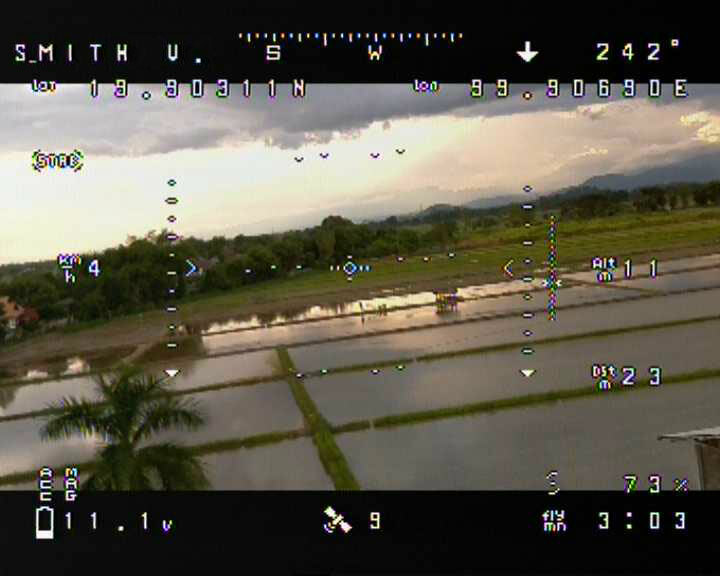 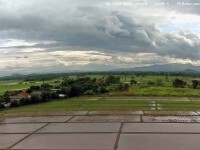 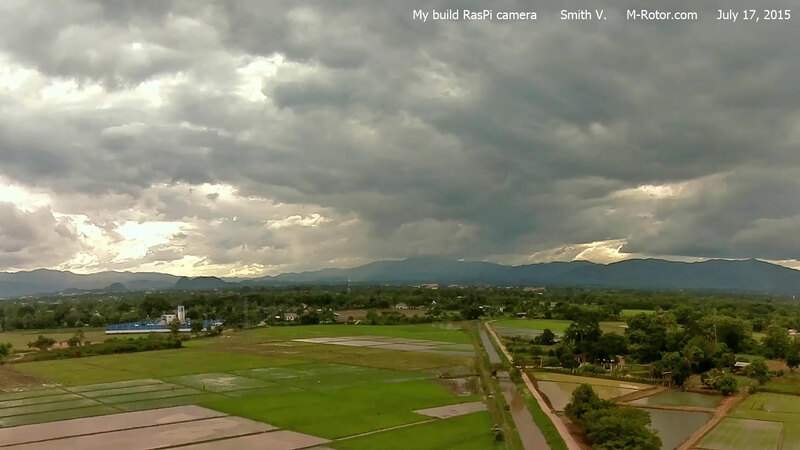 Rain storm is near at the east, So this flight have very windy, but my build RasPi camera and damper plate still working well. 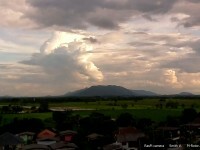 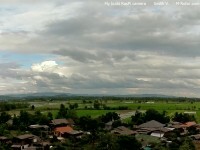 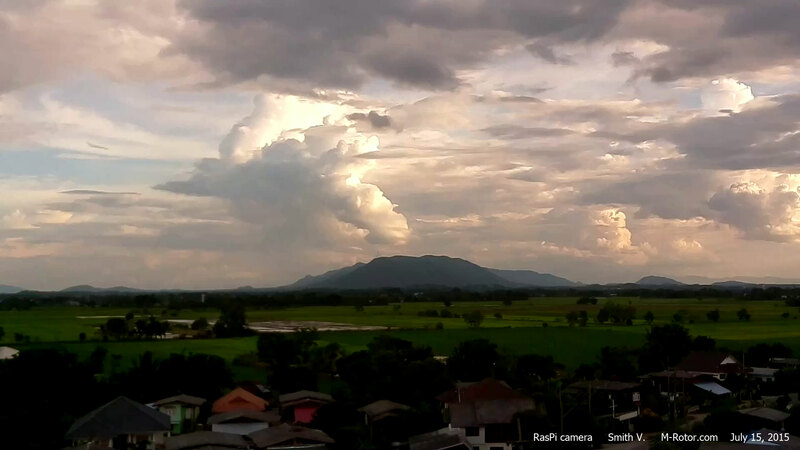 This evening the sky have so much cloud and windy.